The STOCKMEIER Group was founded as a chemical distributor in Bielefeld, Germany in 1920 by August Stockmeier, which was taken over by his son Dr. Jürgen Stockmeier upon August’s passing, and is currently run by Jürgen’s son, Peter Stockmeier. From then until today, the group diversified from a strict chemical distributor to also being a manufacturer of urethane, food aromas and flavorings, coloring products for the paper and textile industry, and solutions for AdBlue® additives. The STOCKMEIER Urethanes Group is the arm that produces urethanes. 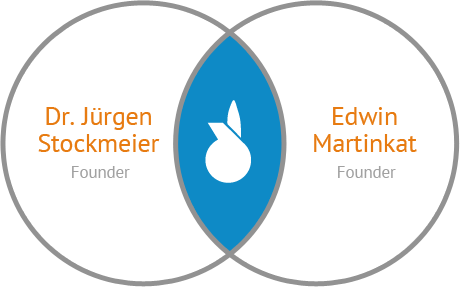 Dr. Jürgen Stockmeier met with Edwin Martinkat in 1990 through a joint friend.Over a few meetings, they decided to start a polyurethane systems house focused on the development and production of coatings, adhesives, sealants, and elastomers. In May of 1991, STOCKMEIER Urethanes GmbH & Co. KG was incorporated in Bielefeld, Germany. In 2010 the plant was relocated to Lemgo, Germany in order to accommodate the growth. The first acquisition in Cernay, France was made in 1996 through the takeover of SNAD SA, today known as STOCKMEIER Urethanes France S.A.S. This location underwent major capacity expansions and modernization throughout the years, most recently with the purchase of neighboring additional land and buildings in 2017. Exports to the United States started in the late 1990’s. Due to the warm market reception, the owners decided to invest in building a systems house in America. The property in Clarksburg, WV was purchased in spring of 2003, right after STOCKMEIER Urethanes USA, Inc. was incorporated. Throughout the years various expansion projects have taken place to support the continued growth. Greenfields Polymers Ltd, a company specializing in polyurethane potting compounds was the second acquisition. Today, known as STOCKMEIER Urethanes UK Ltd., this site is the fourth production site worldwide in the group and is located in Sowerby Bridge, United Kingdom. Currently the board of directors includes two representatives of the owner families, Peter Stockmeier and Christian Martinkat, as well as the managing directors, Stefan Baumann and Jean-Marie Rohmer. We produce and deliver premium quality polyurethane systems, surpassing any competitive standard. The core element is our highly qualified and motivated staff. They are the key to our outstanding services. Our production is certified to ISO EN 9001. All processes are IT controlled, utilizing highly specialized equipment, allowing for the most efficient manufacturing combined with the continuous delivery of the highest quality. Our technical know-how is always ahead of the curve through continuous training, allowing our chemists to provide the best possible solutions for you. Together with you, we analyze your requirements and select the right product for your application. Since 1991, our goal has been to be a trusted partner to our clients.